From December 1933 all the fire departments were incorporated in the police. The phrase "Feuerlöschpolizei" (fire fighting police) emerged. A busy service: in 1935 1807 transports where undertaken with two cars, by the Wesermünde professional squad. 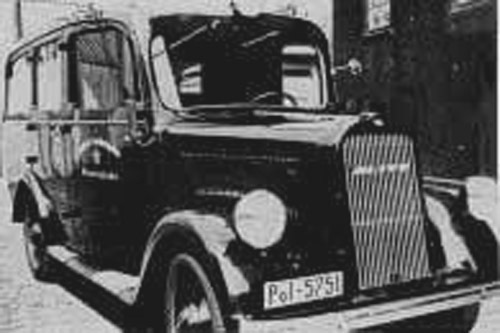 In 1937 a new ambulance was bought, a 1 ton Opel-Blitz for the price of 8.500,00 RM (a small fortune). It's color is dark green, and it has its service written on the doors: "Städt. Feuerlöschpolizei Wesermünde" with a licenseplate "pol-5751". Pol is short for "Polizei" (Police). Services seized by lack of staff and are taken over in March of 1944 by the German Red Cross.